On May 8, 2014 thoracic surgeons of Medical Center "Erebouni" has performed the unique surgery to remove a giant tumor from pleural cavity weighting about 4 kg. Patient A., 52 years old, appealed to the Erebouni Medical Center with complaints to acute respiratory failure. He was hospitalized in the Department of Cardiopulmonary Pathology diagnosed with COPD (chronic obstructive pulmonary disease) in stage of decompensation and "pulmonary" heart. Upon further examination of the patient a giant tumor in the left pleural cavity was found. Therefore, the patient was urgently transferred to the Department of Thoracic Surgery. Head of Thoracic Surgery Artak K. Hovhannisyan said that the surgery was carried out by integrated multidisciplinary team by method of expanded multicomponent thoracotomy. The tumor was completely removed. On the surgical procedure of giant tumor's removal highly qualified thoracic surgeon Gor Melikyan had participated. The patient was transferred to the intensive care unit, and on the second day, with positive dynamics, the patient continued treatment at the Department of Thoracic Surgery. Today, doctors assess the patient's condition as satisfactory. It should be noted that such surgery are carried out infrequently, because of their complexity. 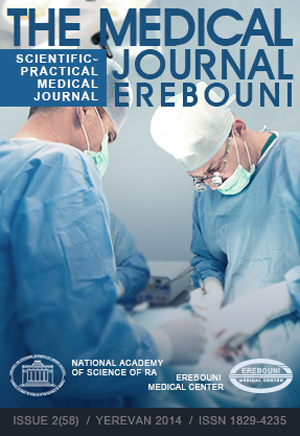 For the past nine years this is the third case, that had been performed at Erebouni Medical Center.